"Burls or burlswood are abnormal projections or tumor-like growth that bulge out from or encircle the trunk or branches of trees. What causes them remains unknown and they do not appear to adversely affect the tree's health. Various theories suggest that they result from falling trees, fire or frost damage, invading fungus or bacteria, or even woodpeckers. Certain species such camphor, elm, nanmu, cypress, and willow also seem tobe more susceptible to burl growths. The wood tissue of a burl is extremely disoriented and is comprised of many small bud formations that often appear as clusters of round curls. 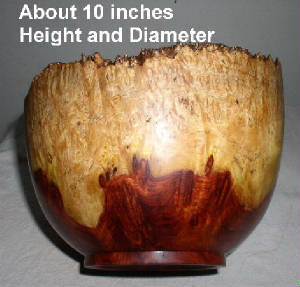 It is often difficult to distinguish one burl species from another. However, similar coloring, texture and grain patterns of the parent tree can often be detected. The beautiful pattern gives value to products." 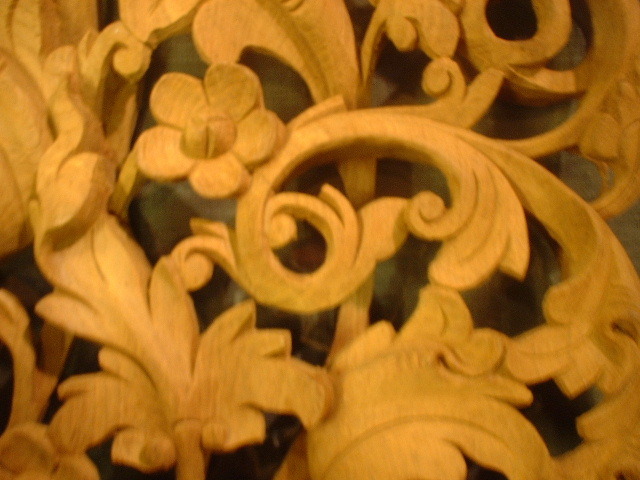 Every piece of carving is a form and work of art. Our work is dedicated to the presentation of good quality, uniqueness and exclusiveness that will improve the quality of your life and collection. Of course at the end of the day, it must enhance our life and appreciation for life and work. 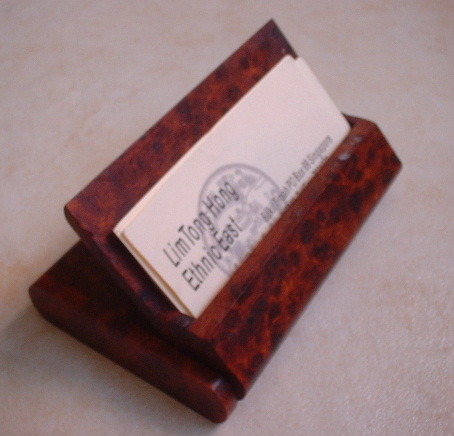 I have 3 different designs of such business card box. They are made from the burs of rosewood tree. Each piece is unique as the textual pattern are never the same. The dimenions are about 4 inches x 2.5 inches. Offer price is now US$6.00 each. Packing and posting in Singapore and Malaysia not included. For orders of 200 or more for corporate or personal gifts, I will give you a very special price. I can also print a logo and your company name in gold on the box for you. 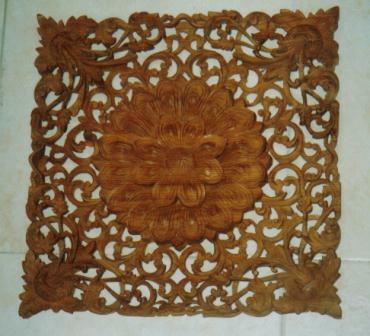 This teakwood carving dimension is 450mm x 450mm. The price is US$40 each. The dimension is 300mm x 450mm x 60mm. 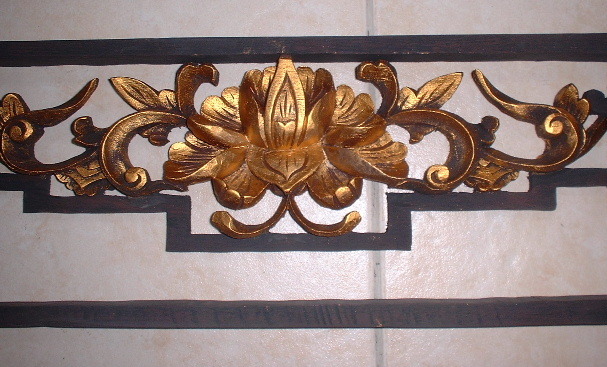 It is carved from one single piece of teakwood and shows 2 levels of the 3 dimensional work. Other designs are all floral pattern. The unit price is US$88 each. 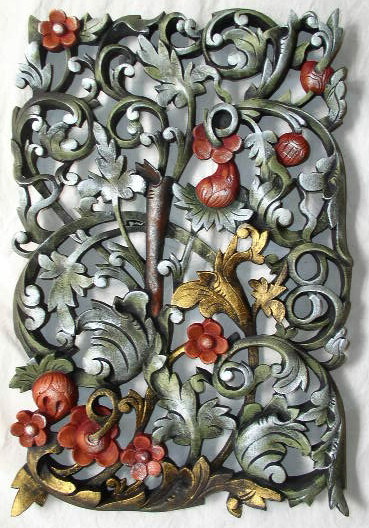 Used by hanging it on the wall or onto a frame with acyrlic and teakwood frames. 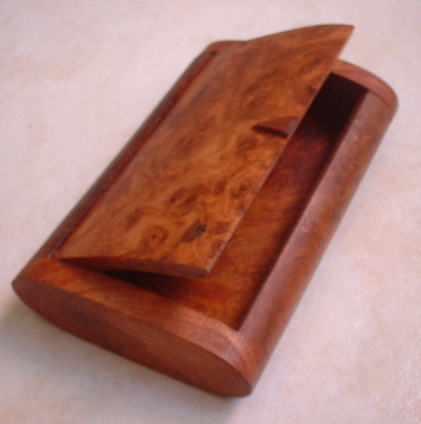 This 6 panels hinged together teakwood mini-screen is about 450mm high and 1,000mm wide. Great for display and screening. The unit price is US$68 each. Special ethnic chinese design carving for mounting on wall as decor and hanging tapestry and running long cloth. US$48 each. More products coming, view the pages regularly.